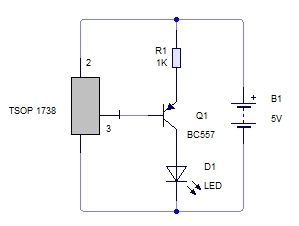 Here is a simple tester to test the IR Sensor TSOP 1738. It is a highly sensitive device that damage easily if its input voltage rises above 5V. 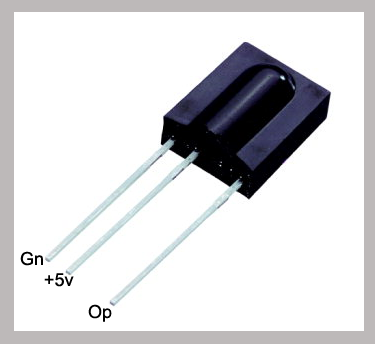 This Tester can be used to test TSOP 1738 before using in a circuit. It confirms the condition of the Sensor, whether it is functioning properly or not. It can also be used to check the IR Sensors kept in your junk box so that you can keep only the good one for use. You can switch on this short duration White LED Lamp using the TV remote. The lamp turns off automatically after 3 minutes. It gives sufficient light in the room if you want to locate the remote buttons.